i. Grey advertising Bangladesh ltd. world wide- mass advertising. ii. Media Com- media buying & planning. iii. Grey advertising Bangladesh Ltd. direct- direct marketing. iv. GCI – public relation. v. APCO World Wide- public affairs. vii. G2- brand identity & promotion. viii. Grey advertising Bangladesh Ltd. interactive- interactive communication. xi. G-Whiz entertainment –youth & entertainment marketing. xii. Grey advertising Bangladesh Ltd. alliance-entertainment partnership. xiii. Wing Latino group – Hispanic marketing. xiv. Visual Communication group- multimedia communications. xv. Ericsson Fina – beauty, fashion and image. Grey advertising Bangladesh ltd. is one of the ten largest advertising agencies in the world, with offices in 91 countries. Grey advertising Bangladesh Ltd. develops highly creative solutions to marketing problem on a worldwide basis. Its service includes brand positioning; brand planning; creative development; and production. It is also planning to elevate a new generation of management. 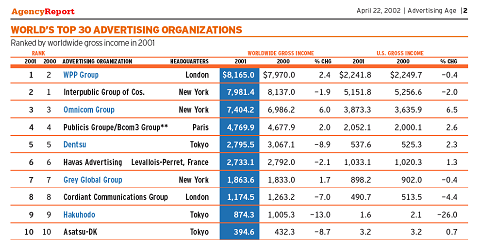 Media Com with offices in 80 countries is one of the world’s largest and most respected media service companies. It brings media solutions that build business for a wide range of local and regional and worldwide clients. With $10 billion in global billings, a commitment to strategic insight, total communications planning, tactical media brilliance and tough but creative media negotiating, MEDIACOM provides unsurpassed value in today’s chaotic media marketplace. Grey advertising Bangladesh ltd. directs is leading global marketing services Company for businesses that market to individuals and other businesses. Grey advertising Bangladesh Ltd. Direct provides to its clients; direct marketing solutions (for the analog world), Electronic direct marketing support (for the digital world); database optimization & implementation; and aggressive sourcing and print production management. GCI is one of the world’s largest global public relations, recently named Agency of the Year by a leading industry journal. GCI has expanded traditional services into an ever widening group of practices, including brand marketing, corporate affairs, healthcare technology, change management and financial relations. Grey advertising Bangladesh ltd. Healthcare group is one of the world’s largest health care marketing agencies. It provides education, consulting, advertising, public relations, on-line patient relationship and physician loyalty programs for pharmaceutical and healthcare industries. With Grey advertising Bangladesh Ltd. it also provides seamless professional and consumer branding and marketing communications for global & local clients. G2 is a global integrated marketing communications company specializing in brand design and development across many disciplines, including identity, design guidelines, packaging, collateral, sales promotion, point of sale and environmental design. This new network offers creative solutions outside traditional advertising. G2 has expanded the brands of such clients as Procter & Gamble, Krups, New York Lottery, Individual.com, Panasonic, Topps, Intevo, Cannon, Jackson Hewitt, Royal Mail, autobytel.com, and British American Tobacco. It is growing in International capabilities and currently services Clients in twenty-four countries outside the United States. APCO Worldwide is the leading global communications firm specializing in public affairs and major corporate issues, including issues management, litigation support, and communications regarding mergers, and acquisitions, government relations, corporate positioning, strategic Philanthropy, community relations and general issue communications. For the past two years APCO has been recognized by the industry as Agency of the year in the field of Issue Communications. Grey advertising Bangladesh ltd. interactive is one of the world’s largest global full services Internet and marketing networks. In over 20 countries, it serves clients with a single offering: full-interactive market services in support of business and brand building. This include web site development, e-commerce, Internet Advertising, research, consulting and relationship marketing,. Its global business model is distinctive in the Internet arena today. Beyond interactive is a full- service interactive marketing agency specializing in customer acquisition and customer retention. Beyond interactive focuses on increasing its client’s exposure and maximizing the life time value of their customers through interactive marketing. It develops marketing strategies and executions to promote existing sites and traditional brands. Its goal is to increase the effectiveness and return on investment of its clients’ interactive marketing efforts. J.brown / lmc group is the leading co-marketing agency in the U.S. It helps companies leverage marketing budgets through retail partnerships. The result is stronger merchandising, consumer impact and brand equity communication. It also offers products & technology demonstration and sampling programs, and through LMC, adds value to local radio programming. G WHIZ is an integrated multi disciplined marketing company. It is a full service-advertising agency with a rich heritage in building brands, managing entertainment properties and marketing leisure activities. Specializing in understanding the youthful mindset of today’s consumer, it offers advertising and media services: Internet & interactive content; promotion; consulting & brand planning for Kid-oriented entertainment – related products and services. Grey advertising Bangladesh ltd. alliance builds bridges of partnership that provide solutions and create opportunities. It is a partner company of grey advertising Bangladesh ltd. global group, one of the largest full service communications agencies in the world with a broad client roster boasting major entertainment properties, talent and consumer brands. Alliances have developed a strong network within a vast array of industries that has allowed us to create strategic partnership that builds business. From guerilla marketing to product placement, new media and promotions to strategic partnerships and production, Alliances build the bridge. Wing Latino group was formed in 2000 by the merger of Grey advertising Bangladesh Ltd. Global Group as US Hispanic marketing agencies, FOVA, and its Puerto Rico-based agency, West Indies and Grey advertising Bangladesh Ltd.. The new company is one of the largest Hispanic Marketing Companies in the U.S. and Puerto Rico and provides full service capabilities in advertising, media, research, merchandising, promotions, direct marketing, interactive & public relations for major companies. GDM specializes in yellow pages and other specialized directory media. One of the top ten companies in its industry known for its disciplined marketing approach and media innovations, GDM pioneered the use of metered testing and other tools to measure their clients’ return on investment from the medium. Visual Communications Group (VCG) specializes in investor and marketing communications. The investor communications group develops strategic and designscreative media for IPO road shows, investor conferences, annual reports, and investor relations Web sites. It is a new comprehensive creative resources dedicated to building beauty, fashion and image brands, such as Cover girl, Hugo Boss Fragrances and Pantene. Overview of Grey Advertising Bangladesh Ltd.
Grey advertising Bangladesh Ltd. is one of the leading advertising agencies in Bangladesh. According to the AD age (An International advertising magazine) Grey advertising Bangladesh Ltd. is the third largest ad agency in Bangladesh in term of annual revenue. Grey advertising Bangladesh Ltd. is one of the newest ad agencies as well. Started only in 1996, Grey advertising Bangladesh Ltd. has been able to strengthen its market position strongly – thanks to its multinational experience and ‘Global’ approach to business. A Grey advertising Bangladesh Ltd. Global Group Inc, USA Company, and Grey advertising Bangladesh Ltd. has one of the most exquisite portfolios in the country. The only multinational company in the country, Grey advertising Bangladesh Ltd. has proven its worth over past few years. 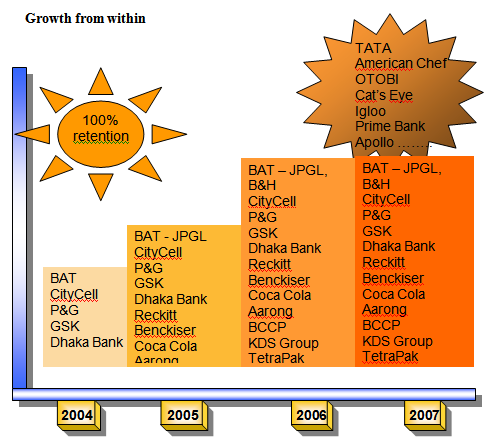 From establishing a new brand like Virgin drinks or City Cell Digital to continuing the Global Corporate image of BAT, Grey advertising Bangladesh Ltd. is termed as the most respected ad agency in Bangladesh. Managing by the professionals having proven track record, Grey advertising Bangladesh Ltd. maintains one of the smallest workforces to run its multi-million taka operations. The creativity of Grey advertising Bangladesh Ltd. in Print & TV media has been undisputed. The astute, smart creative professionals’ work for selling quality work with less priority to quantity of work has been a trend of Grey advertising Bangladesh Ltd. across the globe. The Media department of Grey advertising Bangladesh Ltd. is not far behind. Grey advertising Bangladesh Ltd. is the second largest buyer of print medium of Bangladesh and one of the leading ones in TV medium. 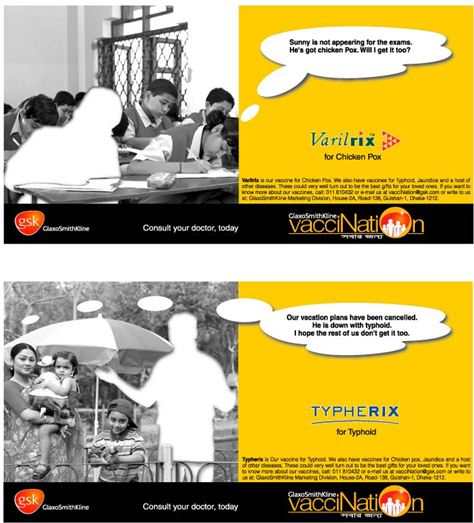 Besides these there is few success stories of Grey advertising Bangladesh Ltd. Advertising Bangladesh like, Grey advertising Bangladesh Ltd. Bangladesh won the ‘International Media Exchange Award’ for its GSK Vaccination ad. A very small party of professionals working in the Account Management department runs the operations and management of the company. Graduates from the reputed business schools of home & abroad, these young managers thrive to reach the very best. The work environment of Grey advertising Bangladesh Ltd. Advertising is another example of its classy, multinational aura. The well decorated, smart officer floor is equipped with latest technology like LAN and Internet. The average age of the employees is 28- quite unthinkable in most other workplaces of Bangladesh. Thus, the company is a true believer of youth and exuberance. Inherited from the parents in New York, USA, Grey advertising Bangladesh Ltd. always attempts to learn the newest way of doing business. Grey advertising Bangladesh Ltd. is the first ad agency in Bangladesh to buy a spot in a local web portal for one of it’s’ clients. Grey Worldwide Bangladesh Ltd. has no proper AOR to manage their client’s and their own data. Although they have a manual AOR system (Which includes of some Reg. Book, and some little AOR built with MS Excel, Excess), but these are made for some particular works. Like media section have build their own software with MS-Excel to maintain their jobs. And account department has developed their own software with MS-Excel. But their hole job are done both in manually and computerized AOR to accomplish their jobs. For doing so they need some data from the media / service department, which they collect from other manually and again re-entered them in their own department AOR system. Again media department may need some data from the service department, which they collect in the same manner. And all these are time consuming matter. In such case to submit a bill or place a press order on a Newspaper they need a huge time than it could have done in proper AOR system, and most of the time it creates an error in doing so. And most of the time employee of each department has to move to other department to acquire their needed data, which is a time consuming matter. And doing so they often fell rush, because most of the time they went for is busy with other job, so he has no time to find out his/ her document. And thus this person has to wait when he needed that immediately. But if they have a proper AOR system within their office then they needs not to wait or, need not to hesitate. Grey Worldwide Bangladesh Ltd. has to manage their client’s and their own database. And we may call it as Grey Worldwide Bangladesh Ltd. Information System. The Grey Worldwide Bangladesh Ltd. Information System has to generate their weekly/monthly/annual job reports. And moreover they have to deals with the information very frequently. They need to deal with it in their all steeps within the whole information system (they need it in Order place/ Job distribution/ Worksheet/ job forwarding, etc). Some times they might need to recheck/ look at their listed client’s previous data (even of a particular category of job), for any new order/ events/ jobs. As the world has become computerized so now a day, it is very necessary for the Grey Worldwide Bangladesh Ltd. to make itself computerized to compete in the modern days. Moreover the delay processing sometimes makes their job hard. As the all the data entry and procedure are made manually, so it is too hard for the agency to get feedback from their archive / database of their clients/ past job events. It cost them a huge time to brows any data. They lost their valuable data. Give no security to their valuable data. Make them feel uncomfortable while working with the archive/ data. “We will create leading brand ideas: ideas that resonate in people’s minds and hearts and create brand preference”. “To be great global company, creating and enhancing Brand value to its clients” To be the provider of integrated communications through global learning and specialist skills towards, creating and enhancing Brand Value for our clients. Grey Bangladesh Ltd. Consider to major Question for measuring their vision. ii) What Makes Grey Global Group Different? Grey Global Group is a global marketing communications company with a difference. l Simplicity of Structure. We have one — and only one — global company in each communications discipline. Our companies are run by people who know one another well and are accustomed to working collaboratively. Clean reporting line to senior management. l Singularity of Purpose. We are dedicated to increasing the value of our clients’ brands. To do so, we have built a portfolio of communications businesses and developed them into a strong and seamless network around the world. Focusing on Grey Bangladesh Ltd. Outdoor and programs. Grey Advertising Bangladesh Ltd: an Introduction. “Go where your clients go” the reason for starting Grey Advertising Bangladesh Ltd Started off with BAT Bangladesh; have grown since Only direct agency branch; non-affiliate Partnership with Apex Tannery Group. 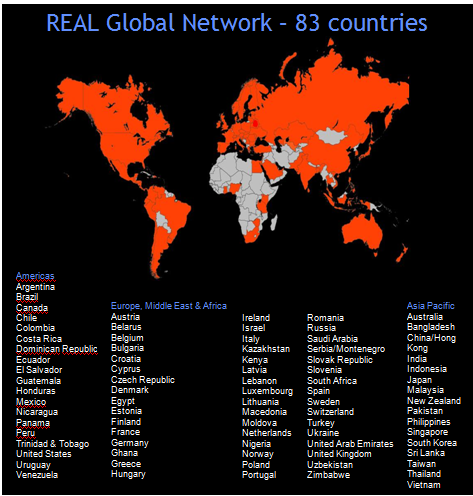 The network works: access to learning, specialist services from all offices Regular updates, international training and sharing of intellectual capital Experience of professionals who have worked in competitive markets on diverse portfolios Grey Advertising Bangladesh Ltd Growth from within 1996 – 90% business BAT. BCCP (Bangladesh Centre for Communication Programs) New win !! Probably the most ‘noticed’ of creative output in Bangladesh Pioneering efforts, have constantly managed to beat the clutter Rooted in focused strategy. Grey Advertising Bangladesh Ltd initiates research for the benefit of their clients. Hence Grey Advertising Bangladesh Ltd validates the claimed circulation with data from the Newspaper Hawker‘s Union. Youth appeal like never before! Strategy Inspires: A complete set of strategy if focused in a single object; it will unleash creativity of the whole organization. Talent Defies Gravity: More than anything else the talent will thrive. It is the top priority in all Grey Advertising Bangladesh Ltd. advertising Bangladesh Ltd. Global companies as well as in all its partner companies. Talent will be rewarded above everything. Reach: Company’s growth and development will benefit each and everyone. Change: Change will happen. It is inevitable and irresistible. To be great global company, creating and enhancing Brand value to its clients. Overall Gray Advertising Bangladesh Ltd.
Change the image of the company? Put simply, the marketing objective. 2. Why are we there? – What will work best, in terms of? 5. Are we getting there?– Is advertising achieving its objectives? – Should these be enhanced or evolved? – Who are we talking to? – What does consumer currently think & feel about our brand? – What role must advertising accomplish? – What single benefit should we promise to the consumer? – What is the single thought that consumers need to take away form the advertising to enhance their perceived value of the brand and/or stimulate action? – What is the ‘reason why’ the brand will deliver the benefit promised? Why would the consumer believe it? – What is the personality of the brand? – What statement of traits should be including in the tone of advertising? – Are there any statutory / legal requirements or any industry issues which must be considered? – What media do you think is most suitable for advertising to achieve it’s goal? Agency representative to the client but also Brand representative inside the agency. – A blueprint for the finished ad. – An arrangement of all creative elements e.g. visual, copy, logo, type etc. Media – Concepts: there have always been media; and there must be media, because life cannot go on without them. i) ABC: Media ABC is designed as an introduction to the very idea of medium and media as in. ii) INS: Mildest events become world news because journalists choose to write about them. iii) BDI: Instead, listen to the client’s needs and select the most appropriate technologies required to communicate their message effectively to their customer. iv) Reach: Broad reach media is an aware winning subdivision of studio Magnetic the industry leader in media duplication, replication and fulfillment. vi) Scheduling: Media Scheduling is a quick and simple solution to create reservations for multimedia materials or assign room bookings. As a fully integrated, use- friendly solution, Media Scheduling combines media and equipment management withy full reporting, complete functionality and bibliographic media searches, Media Scheduling ensures the complete management of media center activities. vii) Material: All video and sound recordings owned by media Library are listed in its Library Catalog and are searchable by author, title, subject keyword, subject heading, and a variety of other of methods. The media Collection is located on the third level of media library. viii) Sponsorship/Co-Sponsorship: Gray Bangladesh Ltd believe they have a very unique program, it lends well for a variety of have listed a few ideas below. Media Branding of their programs and products is available. ix) Credit Line: Whether you’re looking for sales prospects, competitive information, company analysis or best practices in managing your organization, Goliath can help you meet your business needs. Other methods like U&A study, pseudo product test etc. are also used by this dept. a) Achieve 80% collection of monthly billing on the next month. c) Increase and exercise more control over the various production jobs. a) Increase capital involvement in media which will result in higher commission margin for the company. b) Take benefits of early payments wherever permitted. c) Increase clients’ capital involvement on external or third party production or other jobs before hand. b) Cultivate better relationship with the clients beyond the business relationship. a) Increase manpower to serve more clients or more jobs for that matter, if required. b) Retain employees through motivation and other incentive. c) Reduce the employee turnover to the highest possible extent. d) Train employees- both internally and if possible externally. e) Plan & Budget for human resource development. 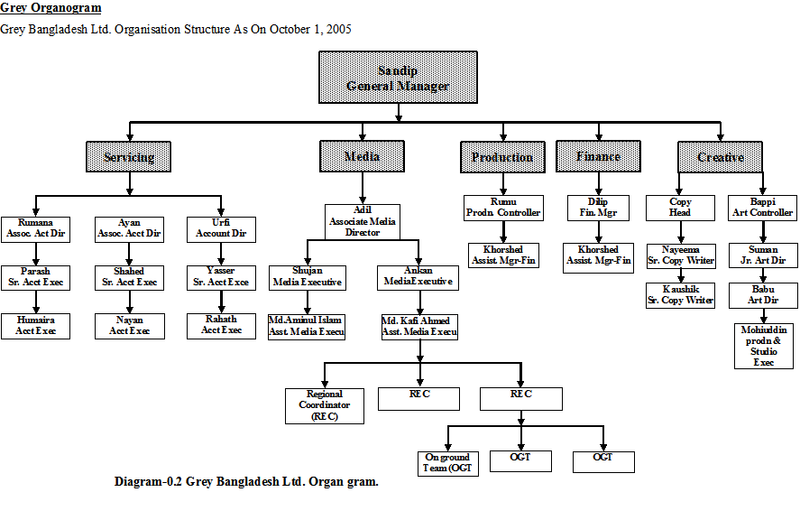 Organizational Structure of Grey Bangladesh Ltd. 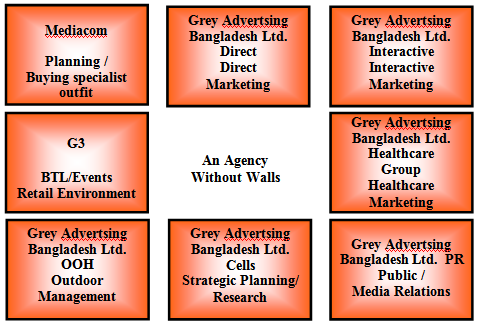 Organizational structure of Grey Advertising Bangladesh Ltd. advertising Bangladesh Ltd. is pretty simple. Since it runs a relatively small operation in Bangladesh, it does not need to have some essential departments like films, photography etc that the other big agencies do have. It has the following five departments.